Strona GłównaMeteorite just within the whisker! Meteorite just within the whisker! 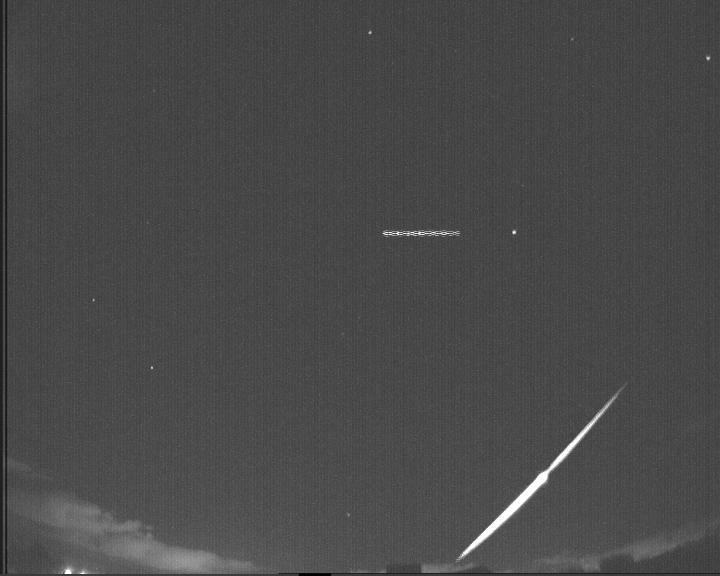 Fireball over Pomerania (1st station). Just two days ago, on 13th of October 2:52 UT, sky was lightened by bright meteor event called fireball. "Ball of light" could be seen above city Płock and flew North-East in direction of city Ostrołęka. 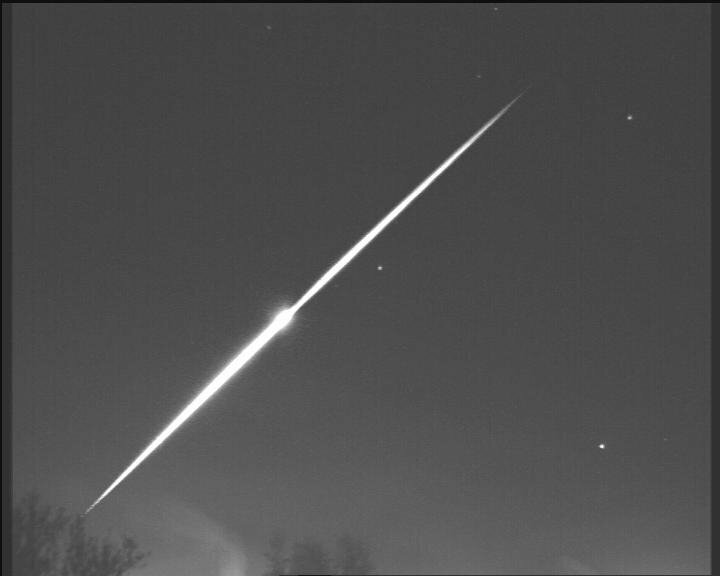 Fireball was the brightest just above city Ciechanów with estimated brightness of -8 magnitude (approximately 400 times brighter than brightest stars). Probably it was not seen by many observers early in the morning sky. But Ciechanów fireball was detected by CCTV cameras working in the Polish Fireball Project (PFN) which is directed by Polish Comets and Meteors Workshop (PKiM). All information about the event were embargoed till today and issued this morning. CCTV observations were used to calculate trajectory of the fireball event. Preliminary calculations were done by Premysław Żołądek (PKiM's president): "Fireball started at the hight of 82 km. After about 4 seconds a flash occurred and after another 5,5 second it could not be seen any more". "Unfortunately there is no chance for the meteorite fall, but we had it just within the whisker!" - adds Żoładek. It was underlined by PKiM's president that Ciechanów fireball should be about 10 times brighter to give a fall of a small meteorite. Ciechanów fireball seen from Pomerania (2nd station). Astronomers estimate that almost every day small asteroid (few meters wide) pass closer than Earth-Moon distance. E.g. last Tuesday 2010 TD54 asteroid approached Earth at the distance of approximately 46,000 km (~0.1LD) . Most of these objects remain undiscovered as they are quite dim. It happens several times a year that such rock reaches our atmosphere and with additional conditions meteorite fall may happen. Unfortunately fireball detected was to small to start search for its debris.